The Norfolk Botanical Garden has grown from humble beginnings as a Work Progress Administration project to a 155-acre garden filled with thousands of plants. There are more than forty themed gardens spread across the site. 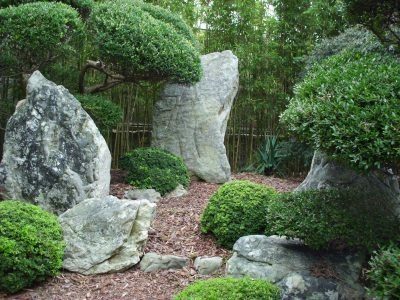 Some gardens focus on a single plant (camellias, hydrangeas, roses), others look at a plant from a specific region (Japan, Virginia), while others provide homeowners with great ideas and or new plants to use in their own garden. The garden has over 12 miles of paved trails and 250,000 visitors annually. NBG mission is to enrich life by promoting the enjoyment of plants and the environment through beautiful gardens and education programs. The permanent plant collections consist of six primary collections and several other noteworthy collections. These primary collections are Camellia, Crepe Myrtle, Hydrangea, Holly, Rhododendron and Rose. Our Camellia, Crepe Myrtle and Hydrangea collection are certified by North American Plant Collection Consortium (NAPCC). Other noteworthy collections include Begonias, Conifers, Iris, Magnolia and Viburnum. The Norfolk Botanical Garden conifer collection features 28 different conifer genera and 70 species. 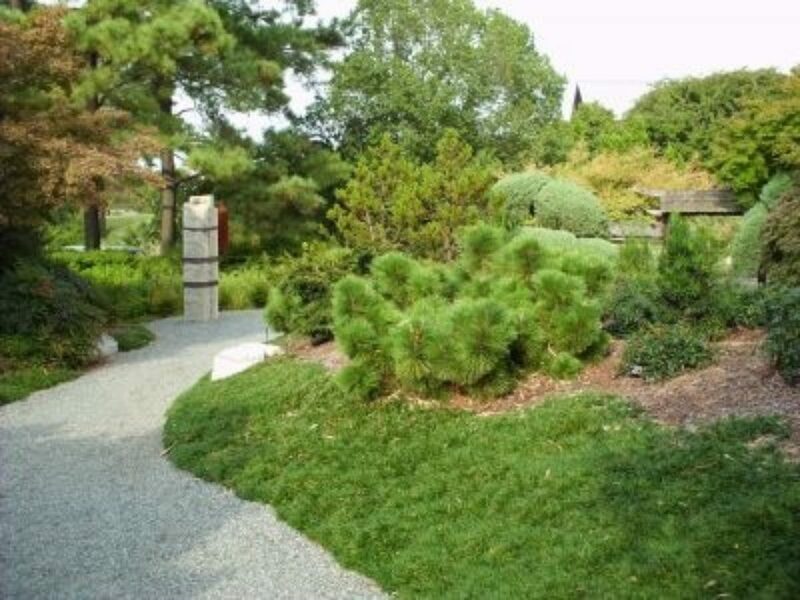 The conifer garden features 46 different species in 21 different genera. 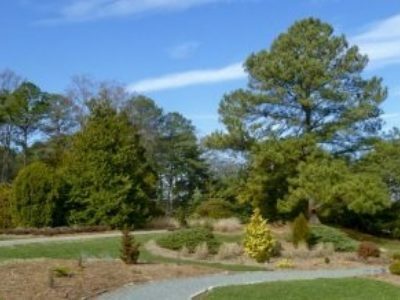 The Norfolk Botanical Garden has many large Coast Redwoods (Sequoia sempervirens) on the property including the state champion. The R.W. Cross Nature Trail in the Virginia Native Plant Garden features a boardwalk that winds through a bottomland hardwood forest, a bald cypress /water tupelo swamp, an Atlantic white cedar swamp, and a longleaf pine stand. In addition, Loblolly Pine is one of NBG's dominant canopy species. 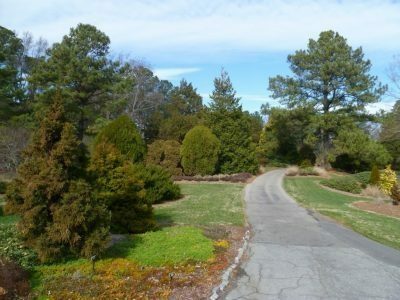 The idea for what would eventually become Norfolk Botanical Garden came from Frederic Heutte, a young horticulturalist, and Thomas P. Thompson, Norfolk City Manager 1935-1938. 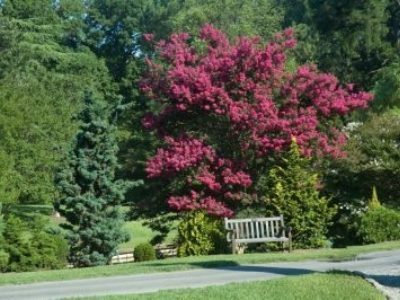 Heutte and Thompson believed that Norfolk could support an azalea garden to rival those of Charleston, S.C., which even during the depression years drew thousands of tourists annually. The city of Norfolk provided Heutte and Thompson with a seventy-five acre section of high, wooded ground and another seventy-five acres of the Little Creek Reservoir to establish a city garden. On June 30, 1938, Representative Norman R. Hamilton announced a Works Progress Administration (WPA) grant of $76, 278 for the Azalea Garden project. A group of more than 200 African American women and 20 men were assigned to the Azalea Garden project. They labored from dawn till dusk clearing dense understory vegetation. Within less than a year, a section of underbrush had been cleared and readied for planting. By March of 1939, four thousand azaleas, two thousand rhododendrons, several thousand miscellaneous shrubs and trees and one hundred bushels of daffodils had been planted. 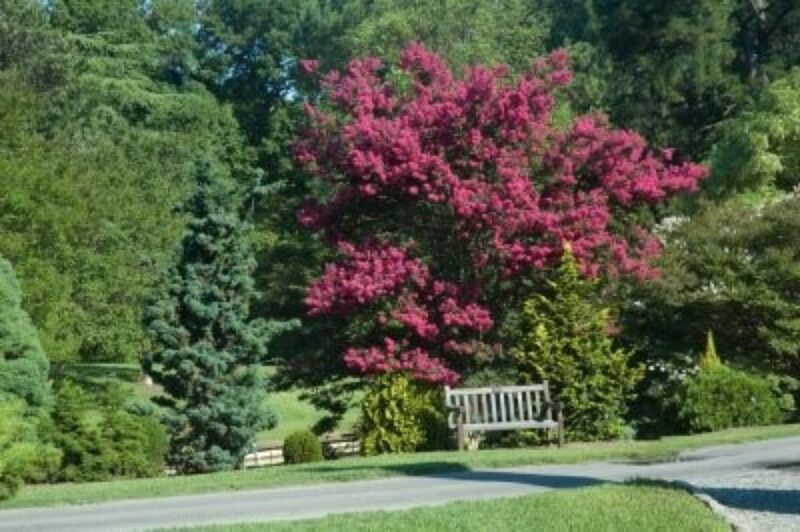 To show the city's support for the Garden, the name was changed in 1955 from Azalea Garden to Norfolk Municipal Gardens. On February 18, 1958, the Old Dominion Horticultural Society took over maintenance of Norfolk Municipal Gardens and changed the name to Norfolk Botanical Garden. 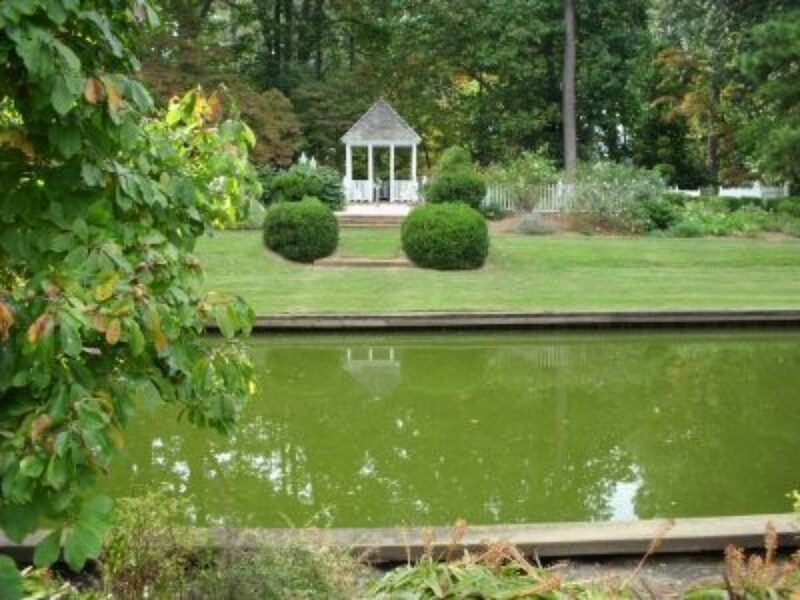 The Norfolk Botanical Garden strived to "promote for the people of Tidewater, Virginia, a Garden that will always remain an inspiration, and lead the home gardener to greater enjoyment and accomplishment in his own yard"... and to "present rare and exotic plants in variety only exceeded by few other sections of the world" (NBG mission statement, 1958). Additions throughout the 1950's and 1960's focused on increasing the variety of collections in the Garden. A Japanese Garden, a Desert Plants Garden, a Colonial Garden and a Rose Garden, which featured All-American Rose Selection winners, were among the new gardens constructed. With increased attendance and public support, the Garden has continued to expand. Our latest garden completed in 2006 is World of Wonders which is a three-acre children's adventure garden where kids explore the connections between plants, international culture and the environment. The original conifer garden was probably built sometime in 1960's. In 2009, expansion began to prepare for the replacement of the canal's bulkheads by transplanting a number of dwarf conifers to new areas. New beds were designed by Director of Horticulture Brian O'Neil to feature these conifers among a variety of companion perennials such as grasses, bulbs, daylilies and sedums. These new beds occupied the space of former All American Selection beds and turf grass areas. Granite staircases and changes in a gravel path were also added to better showcase these dwarf conifers. 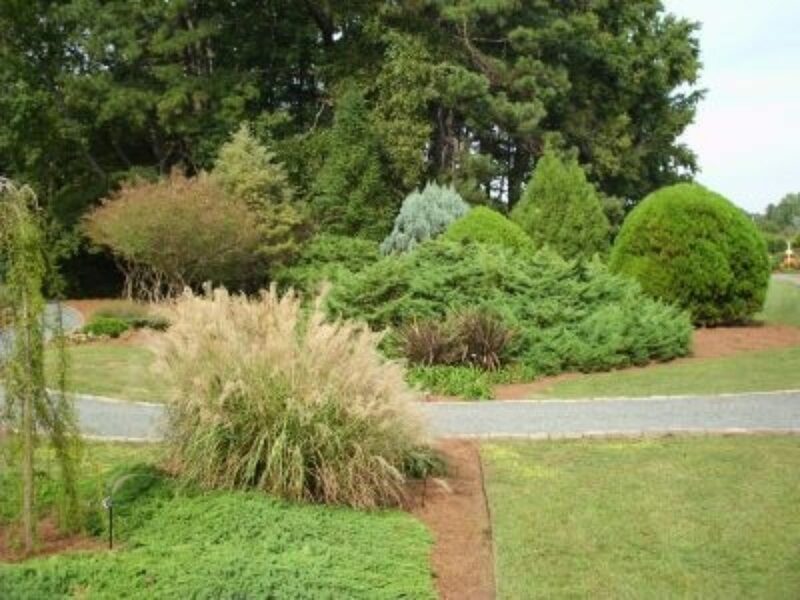 The Conifer Garden has 46 different conifer species in 21 different genera. It features a large number of Chamaecyparis obtusa, Chamaecyparis pisiferaand Cryptomeria japonicacultivars. 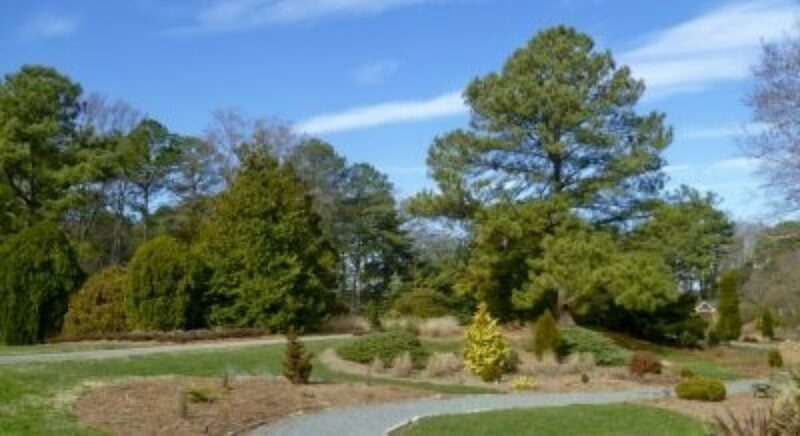 Norfolk Botanical Garden is working on building its collection.